Sold a Single Family home in 2010 in Portage Park, Chicago, IL. As a former Real Estate agent I had very high standards I wanted in a salesperson handling my Mother in law's property. Al exceeded all of my expectations. It has been a little over 2 years since we sold so the market was very bad at that time, but we sold & closed within 6 weeks. The property needed some work before we thought we could list it for sale but Al went way out of his way to expedite everything. I would recommend him to anyone. Listed, and sold my Single Family home in 2018 in Belmont Central, Chicago, IL. Bought a Condo home in 2018 in Lisle, IL. Sold a home in 2013 in Portage Park, Chicago, IL 60641. I was considering putting my property up for sale but was hesitant at first, due to being concerned about losing out on my initial investment. Mr. Rodriguez was impressive in easing my concerns by presenting me a deal that I was extremely satisfied with. His overall responsiveness to all my inquiries and knowledge of my own neighborhood was also impressive and gave me the confidence and trust I was looking for in a Real Estate Agent. I will be working with Mr. Rodriguez again in the future. 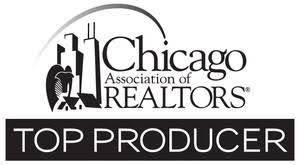 Sold a Multi Family home in 2013 in Portage Park, Chicago, IL. Al couldn't have been more helpful in the sale of my Father's house. He knows the area very well, having grown up and still having family living only a block from where my Dad's house is. We had over ten showings the very first day the house was listed and sold within one week. Al kept us informed of everything we needed to know through the whole process and made it as painless as possible. I would never have imagined that we could have sold a house in today's market that quickly, thanks Al!